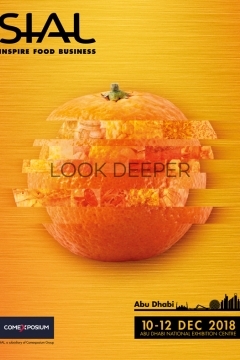 September 2015: the day after its fiftieth anniversary, the SIAL brand reveals its new global communication campaign. To communicate the foundations of its global strategy loud and clear, the international network is launching its new strapline and graphic identity in front of more than 85 of the brand’s partner ambassadors. The design of the campaign, entrusted to Bug, marks a return to the fundamental values of the top professional Food meeting and expresses the SIAL network’s key goals. This new motto perfectly embodies the SIAL network, which has built a reputation over 50 years as THE source of inspiration for the food industry around the globe. SIAL has always revealed and showcased food innovations that demonstrate real turning points in food consumption patterns. Moreover, this strapline embodies the diversity of SIAL’s offering, with over 300,000 professionals in nearly 200 countries taking advantage of the network’s different events to meet up, share experiences and discover or present the richness of world gastronomy. SIAL, present in 7 countries, chose an unusual new graphic identity, proving the strength of its global roots and asserting a willingness to adapt locally while thinking globally. 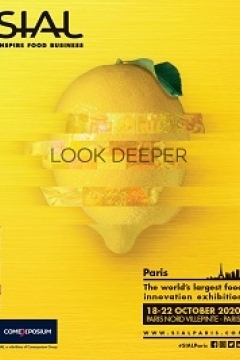 Visuals for the SIAL 2016 events depict a number of symbolic local fruits, photographed in close up and accompanied by a common international promise: LOOK DEEPER. This demonstrates the brand’s close focus on the major challenges of the food universe. 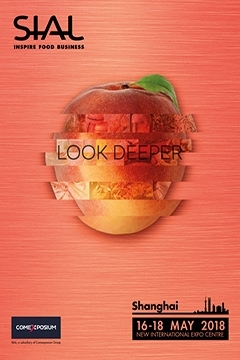 LOOK DEEPER seeks to identify opportunities for growth above and beyond its own borders, putting the diversity of the sectors present at the network's shows into perspective. With this promise, the ambitious international development strategy adopted by the SIAL brand is present across all channels, acting as a source of global and local inspiration. Since it began, the SIAL network has been committed to helping companies in the sector to be full participants in the future of the world's food industry, helping them to discover trends, introduce new products in new territories and meet the sector’s growing needs in terms of diversity, quality and safety. This new visual identity will be rolled out from April 2016, and will be showcased at SIAL Paris from 16-20 October.